Posted by Derek Bruff on Wednesday, September 29, 2010 in News. See our “Grading Student Work” teaching guide for further resources on this topic. 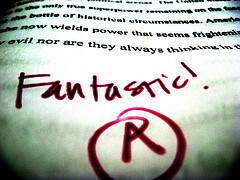 Image: “Making the Grade” by Flickr user jakevol2, Creative Commons licensed.